Just looked at the mirror and noticed that your beauty is getting masked by unwanted wrinkles or pigmentation? With the annoying spots diminishing your confidence, it is obvious to think of an instant formula to get rid of them and rejuvenate your skin again. You may think of anti-aging lotions and potions, but usually, these products do help but might not be sufficient. You can visit Spa West Palm Beach to regain your beauty. Fine lines or frown lines no matter whatever you call these aging signs, it can disappear just with a few minutes of Botox. Botox is a non-invasive FDA-approved treatment that is done by injecting Botox into the facial muscles with a tiny needle. It hinders the signal from the nerve to the facial muscles and thus minimizes its ability to contract. It erases the wrinkles, moderate to severe frown lines between the brows, crow’s feet and other signs of aging effectively. 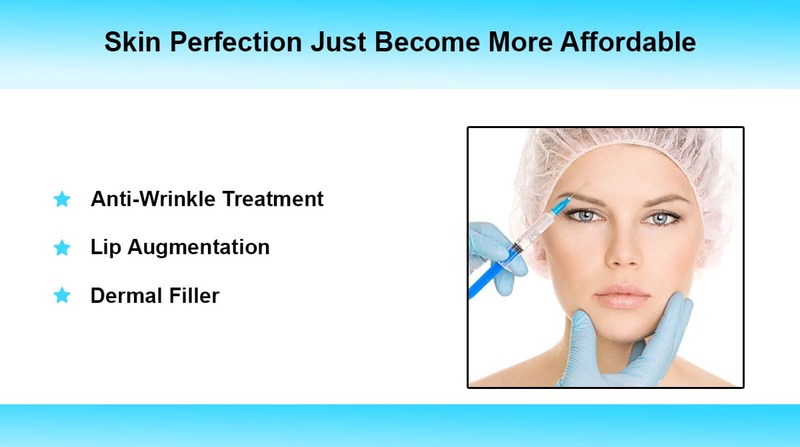 Just make sure to get an appointment for your Botox Specials West Palm Beach session at Beverly Hills Wellness Center & Med Spa, and you can see the benefits right away. The Botox treatment takes a few minutes and no downtime. That means you will be out the door in no time with a refreshing skin and radiating confidence. Try us to know why we are the best Spa in West Palm Beach. The lack of facial volume with thin facial tissues, etched lines, and cheeks that appear a little hollow is one of the visible symptoms of aging. Dermal fillers can remove these early signs. These are active injectable implants to give a fuller and smoother appearance to the face. Dermal filler is gel-like substances that are injected into the skin to smooth wrinkles and replace lost volume, plump the lips, and bring back a youthful appearance. Consult a specialist of Dermal Fillers at Beverly Hills Wellness Center & Med Spa in West Palm Beach to expunge the signs of aging. Under-eye bags are not something new especially when you are aging. Some eye creams can work wonder when it comes to under-eye bags. Look for cream with ingredients like caffeine that brightens skin and constrict the blood vessels around the eyes and with full moisture courtesy of hyaluronic acid. Make sure you talk to our Aesthetician at Beverly Hills Wellness Center & Med Spa in West Palm Beach for a personalized consult. We can enhance and reveal your beauty with non-invasive and natural ways as well. Prevention is always better than treatment. As sunrays penetrate into the skin and damage collagen, this leads to a wrinkled, leathery skin over time. Look for a mineral sunscreen with ingredients like zinc oxide, titanium dioxide or encapsulated Octinoxate for complete sun protection. We carry the best formulas at our Beverly Hills Wellness Center & Med Spa West Palm Beach. Lastly, flash a big smile to give the aging process a good fight. A smiling face can look way younger than the poker one. Although it is not possible to stop the aging process, with the above-proven ways, you can give your skin a youthful appearance. We always strive to be the Best Spa West Palm Beach. How to choose a Med Spa West Palm Beach? Beverly Hills Wellness Center and Med Spa are a locally owned and operated business. For your convenience, we have a large retail section where we carry the best skin care, supplements, natural remedies, and loose herbs.